International Orders MUST Be TWO (2) or more – Only England Residents can order Single bars – US residence must order 2 bars to qualify for shipping, otherwise we will cancel the order. 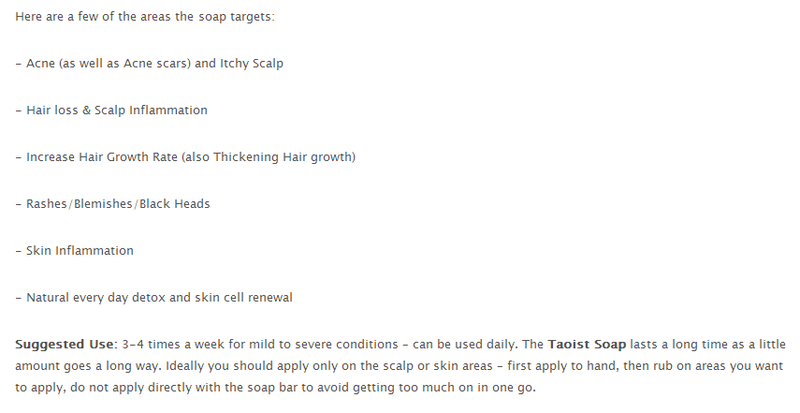 Order Now to feel the powerful effects of the Taoist Soap. Please ensure if your address is based outside England, you order 2 or more, as single international orders will not be shipped. 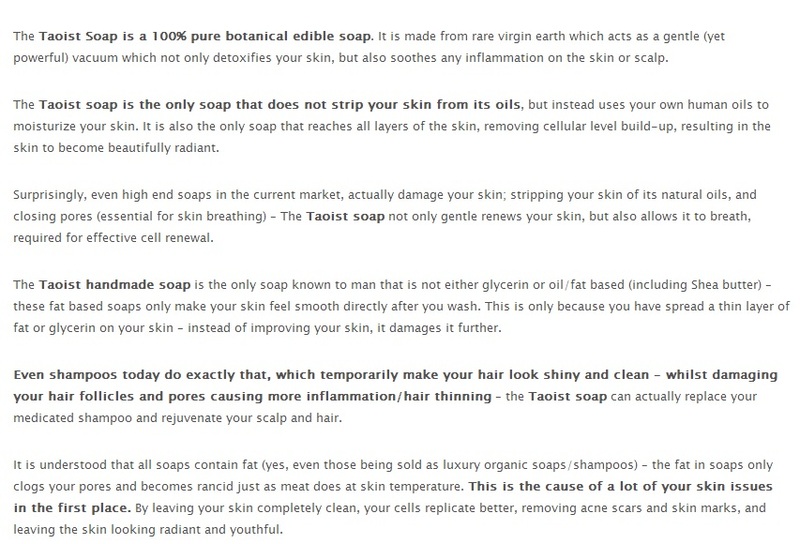 Soap Ingredients: Rare Virgin Earth, Blend of Daoist Herbs. Contains no versions of SLS or preservatives. Ideal for all skin types as it restores the balance or the individual’s skin. Only non-GMO ingredients are used. Not Tested on Animals – Does not Contain Artificial or Natural Perfumes which is vital for hair and skin.